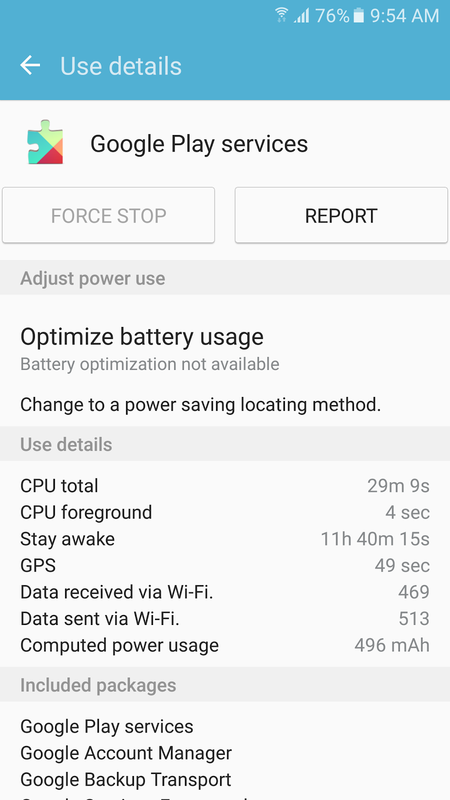 If you're encountering higher than expected battery drain on your Galaxy S6 or Galaxy S7 during idle, it might just be Google Play services that is draining your battery. 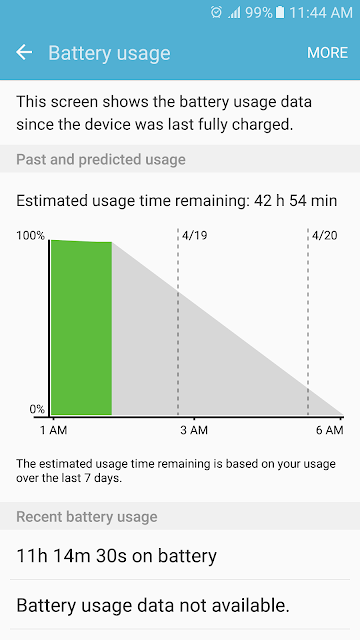 Google Play services has consumed 58% of the battery usage which isn't normal. 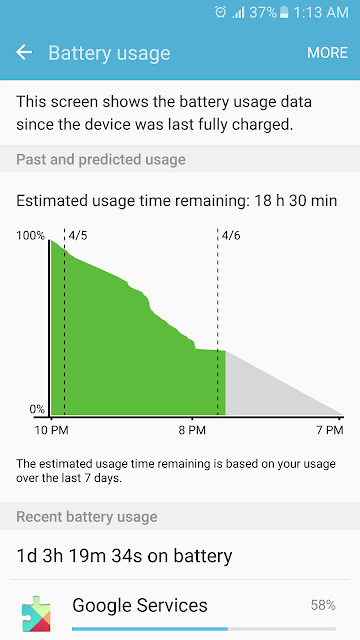 Notice that Google Play services has been keeping the phone awake so it negates the benefits of Marshmallow's Doze feature and causes even more battery drain with the phone continuously kept awake. This has happened on my Galaxy S6 running Marshmallow a few times already. I have noticed this same problem affect the Galaxy S2 running Jellybean but have yet to see the problem appear on the HTC One M7 running Lollipop. 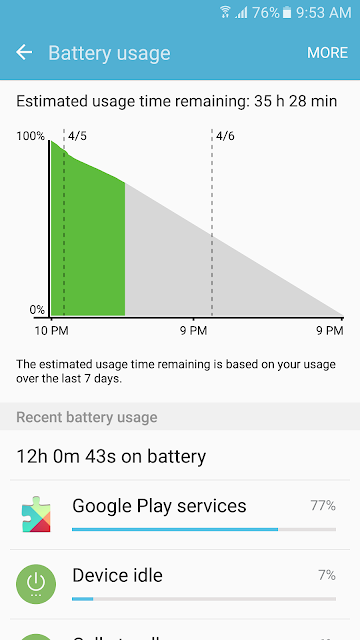 Unfortunately you can't shut down the Google Play services. I've tried closing all applications and toggling off/on all data services but none have made a difference. And letting it run in the hopes that it "fixes itself" doesn't work either. The only way to fix the issue that I've found is to restart the phone. 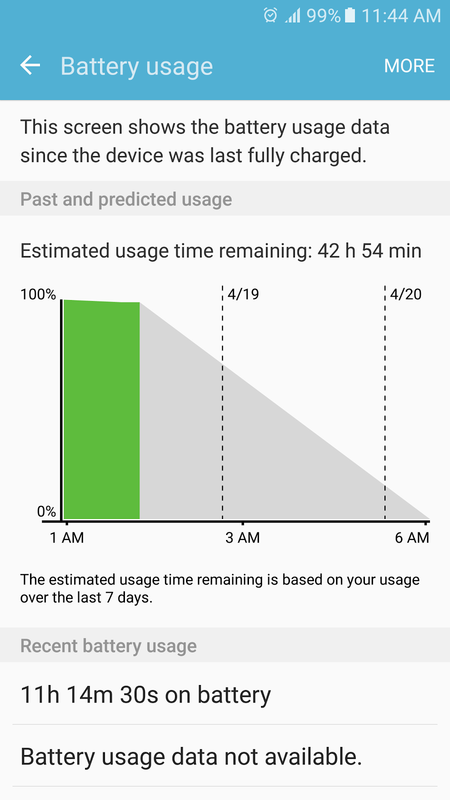 Let me know if you're encountering the same problem on your Android device by letting me know in the comments your device and version of Android.